This Thursday, President Vladimir Putin is set to host his Direct Line Q&A session with regular Russians. Now in its 16th year, the Direct Line is a tried-and-tested format, leaving little room for any major surprises. 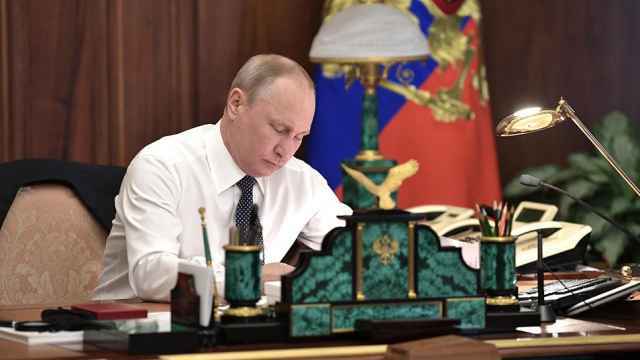 The vetted questions on roads, hospitals and foreign policy give Putin the chance to reel off facts and figures on the state of the nation in marathon sessions that last up to four hours at a time. Since it was launched in 2001, the Direct Line has undergone several cosmetic changes. For the first six years, for instance, the show was filmed in Putin’s office in the Kremlin. Then, when Dmitry Medvedev became president in 2008, it moved to a studio with a live audience in central Moscow. For a decade, the format didn’t change. Russians were encouraged to submit their questions by phone or online, a selection of which were then answered by the president live on air. Some questions also came from members of the audience. The only exception was in 2012, when the show was canceled amid widespread anti-government protests, officially because of poor weather conditions. 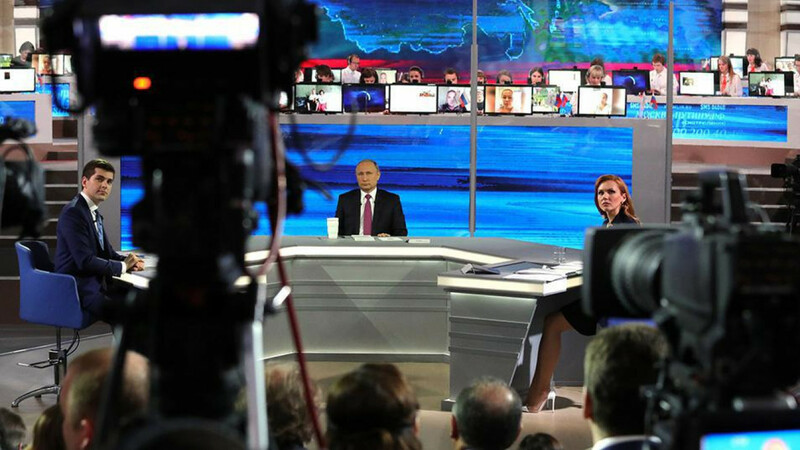 This year, the biggest change is that Putin will be forwarding questions to regional governors live on air. Another change reported by Russian media — albeit one which Kremlin spokesman Dmitry Peskov has refused to confirm — is that there will not be a live audience. Two incidents in Russia’s regions this year have led to protests against local authorities. In March, a fire in a shopping mall in the Siberian city of Kemerovo killed 64 people, mostly children. Following a public outcry and demonstrations, the then- governor Aman Tuleyev resigned, but was appointed chairman of the regional council shortly after. That same month, gas leaks from a landfill in the town of Volokolamsk led to the hospitalization of dozens of schoolchildren. As a result, municipal district head Yevgeny Gavrilov was fired. The Direct Line has always acted as a “complaint registry,” said Yekaterina Schulmann, a Russian political scientist. And while Putin is likely to focus on foreign policy — a favorite topic — as he does every year, the new format is meant to show that he takes local problems seriously, she says. “There will be questions about increase in prices, education, health care, housing and the environment,” Schulmann said. But deflecting to officials in the regions shows that “Putin is above all of the country’s problems, and cannot be seen as the culprit for any of them,” Pavlovsky said. He added that the new format will reinforce Putin’s image as the problem-solver-in-chief. 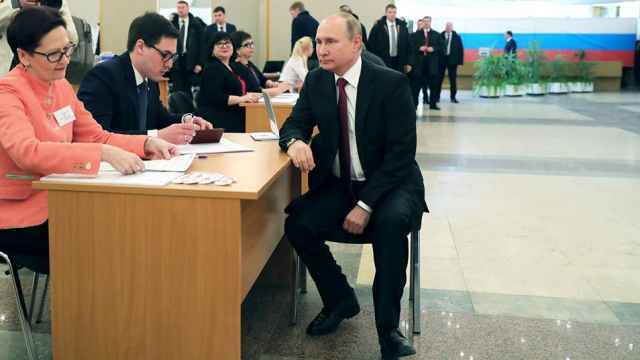 Abbas Gallyamov, a former Kremlin speechwriter, added that the new format was designed to give Russians a backstage look at Putin at work: first by Putin lending his ear to complaints, and then by moving to solve them. the new format will reinforce Putin’s image as the problem-solver-in-chief. 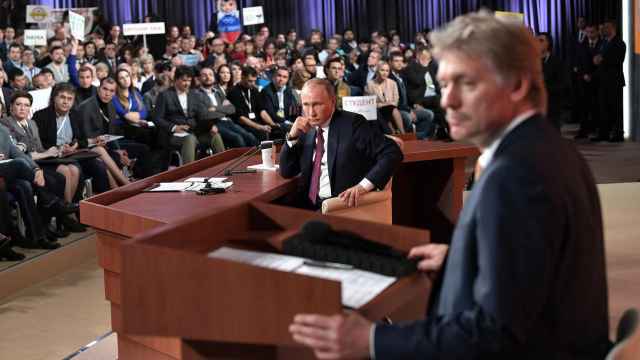 In previous years, Putin’s marathon call-in show was broadcast live in front of a live audience made up of business leaders, government officials and regular Russian citizens. But not this year, leaks suggest. The changes also give the ritual an air of renewal, says Gallyamov. “It was necessary to search for new ways to present old content,” he said. 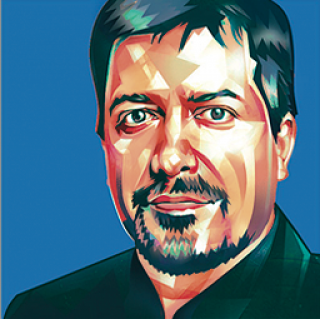 The changes that have occurred are mostly decorative, analysts say.